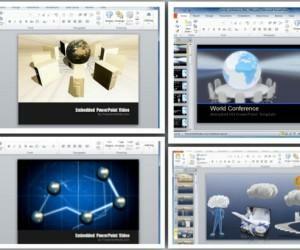 Halloween is that time of the year when making presentations might be the last thing on your mind. However, before you depart for your Halloween vacation, you might have to display a company report or a presentation at school. 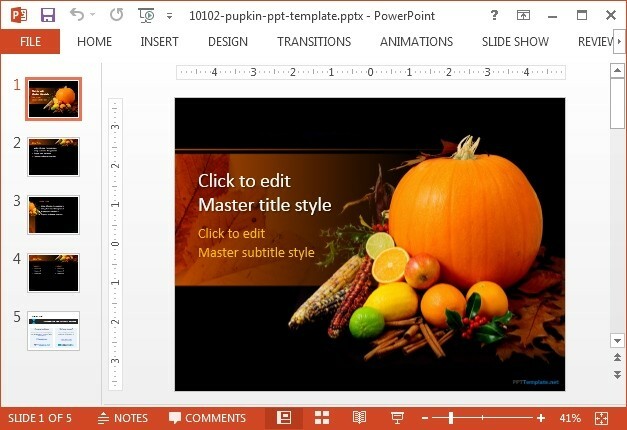 Similarly, if you’re a mom, you might be looking to make a digital storyboard using PowerPoint to keep the little fellows entertained with Halloween stories. 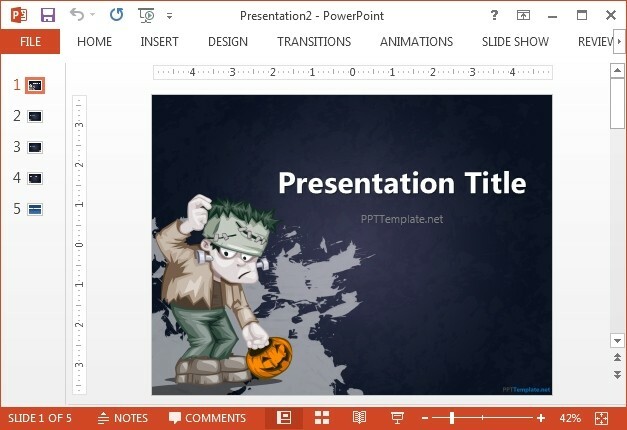 Whatever your need may be this Halloween, our compilation of Free Halloween PowerPoint Templates should get you through your presentation needs. 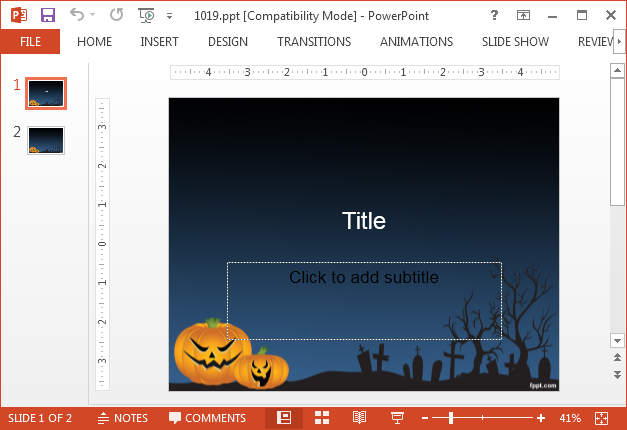 If you want to amuse children at school or wish to make a lighthearted Halloween presentation, then this is a good template. It depicts a confused Frankenstein monster holding a jack-o-lantern. 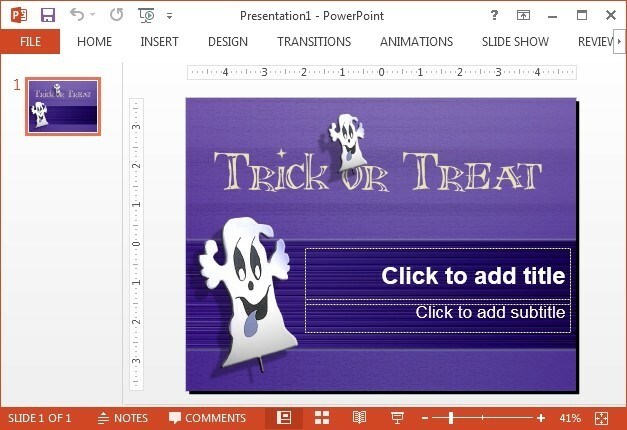 For a more diabolical look, you can use this PowerPoint background with illustrations of laughing jack-o-lanterns. The background colors of this template are quite elegant, with a blue and blackish shade and white text, which serves for good readability. 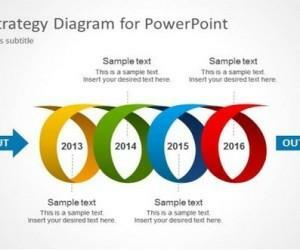 This is a purple and white PowerPoint template with a ghost illustration in a single slide. 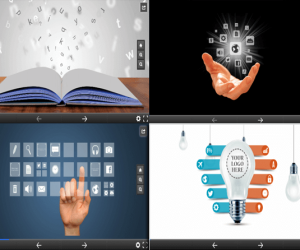 You can duplicate or add new slides to create presentations with a unique purple background and a funny ghost face image. 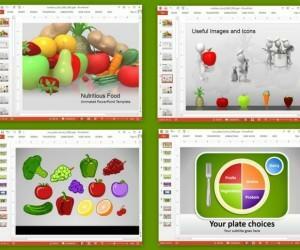 It’s hard to determine if this PPT template can be used for formal presentations or fun slideshows, maybe both! 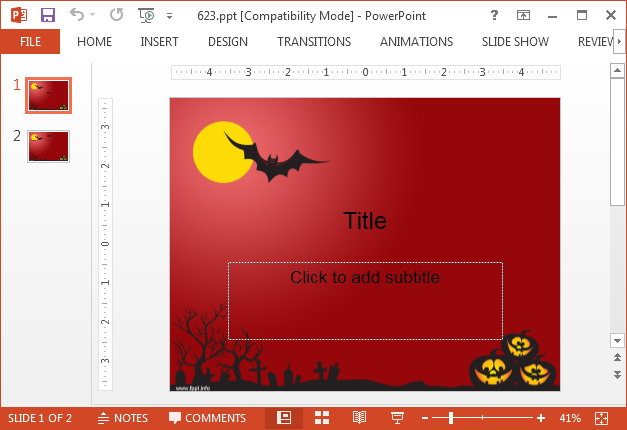 Most of the slide design depicts a red sky with a bat flying amidst the moon in the backdrop, then there are some laughing jack-o-lanterns at the bottom right corner which are hilarious to look at. 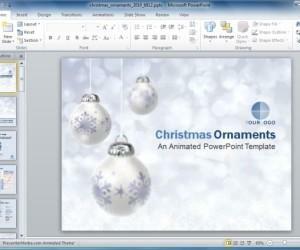 Either way, it serves as fine presentation template which captures different moods of Halloween. Halloween is not all about creepy crawlies and spooky costumes. One of the major part of Halloween celebrations is the food. 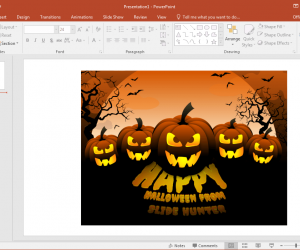 This food themed Halloween template can be used for food and treat related topics, be it recipes for Halloween or even for making printable Halloween menus.